If you’re a digital marketer, an online entrepreneur or holding pretty much any position that deals with a client or customer – the most fundamental skill you should always polish on is to sell effectively. Co-founder of Evercoach, Ajit Nawalkha, has spent years reading various guides and books on sales and marketing, and his customized techniques have helped generated tens of successful launches for Mindvalley. In this 15-minute video, originally filmed for Evercoach, he discusses how to sell anything (well, almost) in a easy, conversational and powerful way; and coaches you through a simple guide on how to take a conversation from a place of problem, to a place of result. 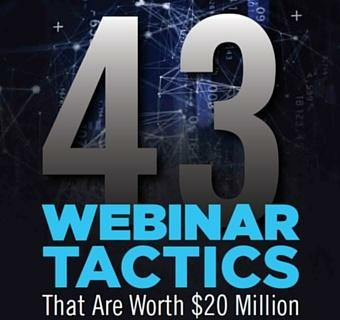 Learn more from Ajit in his upcoming free webinar to discover his three most powerful campaigns (that you can apply immediately) to get thousands more in sales from your list. Find out more and sign up here. Where is the VIDEO?? I put my email and still dont see a video. Greatly appreciated for your approach and clarity! Ajit, great review of the steps for selling ‘well almost’ anything. Appreciate the manner in which you explained each step toward helping us establish a clear “why” and “who” for what we are promoting. I’ve heard the 3 steps before, but you give them a new clarity in simple terms. Look forward to putting your training into practice. Blessings!